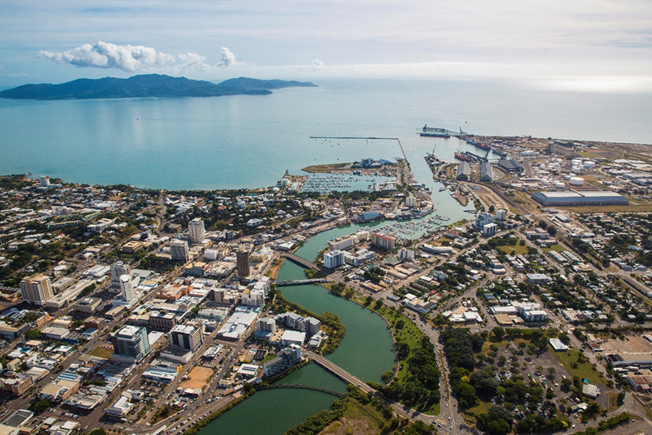 More than 100 industry delegates are expected to attend the first national Ports’ Business and Operational Conference in Townsville on 26-27 June; endorsing support for the city following the recent floods that devastated the region. Minister for Transport and Main Roads Hon. Mark Bailey will open the inaugural event which will be focused at the senior decision makers whose operational responsibilities are critical for the day-to-day running of our nation’s port network. "Ports play a vital role in keeping the Queensland and Australian economy moving. The Townsville Port alone supports more than 8,000 jobs and sees more than $8 billion in trade every year." "The Palaszczuk Government is committed to driving jobs and economic development across Queensland, and we know that our state’s ports and maritime industries play a huge role." "As the country’s number one exporter of copper, zinc, lead and sugar, I couldn’t think of a more fitting place to host this Australian-first ports event than right here in Townsville," Mr Bailey said. Member for Townsville Scott Stewart said the conference would provide a huge boost for the region as it continues to recover from the devastating floods. "You can’t think Townsville without thinking the port. From defence and tourism to agriculture and resources, Townsville Port’s eight berths connect our community with more than 136 ports around the world," Mr Stewart said. "I’m proud that Townsville will host Australia’s first-ever Ports’ Business and Operational Conference and look forward to seeing the positive outcomes the conference will generate for our community, now and into the future." Townsville Port Chief Executive Officer Ranee Crosby said the conference represented the perfect opportunity to showcase the critical role of ports. Mike Gallacher, Chief Executive of Ports Australia said it was the perfect time to show support for Townsville and the region by holding the conference. ‘‘The recent floods only firmed our resolve to bring the nation’s port family to Townsville for a two-day event,’’ he said. The conference provides the perfect opportunity for ongoing collaboration, comprehensive planning and leadership to meet maritime transport industry future needs. The Port of Townsville is the largest container and automotive port in Northern Australia. The Port has been the economic cornerstone of the North Queensland region since it first started trading in 1864, supporting around 8,000 jobs and servicing a population of nearly 800,000 people. Quayside Terminal and adjacent Berth 10 is dedicated to cruise ship visits and is also a strategically important Australian Defence port for operations.